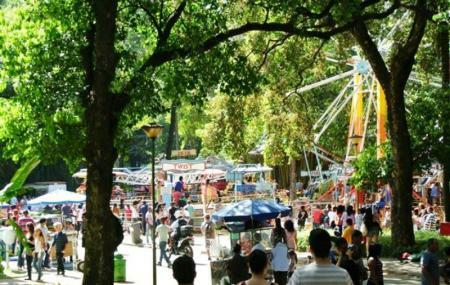 Once a week, on Sundays, this immensely popular flea market springs up in front of the Municipal Park. Wares are what you’d expect - furniture, musical instruments, antiques, home décor, food, jewelry, paintings, crafts. The great part is the bustle and vitality of the market. It feels like the entire city turns out to enjoy it. It’s probably the best place in the city to get a cool souvenir of your trip. The fair was established in 1969, and made permanent in 1971. In 1991, as the city recognised the fairs irreplaceable cultural and community, the fair was made permanent, and moved to its current location in the city centre. How popular is Hippie Fair? People normally club together Parque Das Mangabeiras and Sesc Palladium Cultural Center while planning their visit to Hippie Fair. People also prefer to start their day with Hippie Fair.